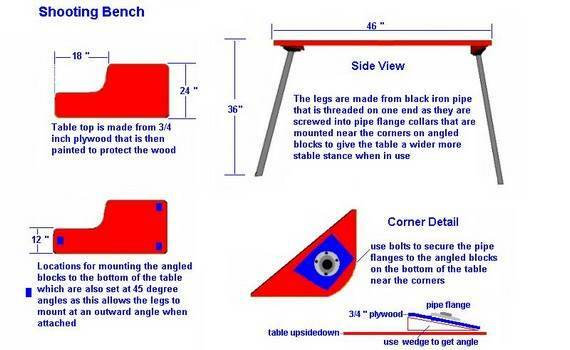 Free shooting bench plans come in a variety of shapes, sizes and levels of intricacy. Sturdy, all-wood styles are great for permanent set-up, while lightweight models fold down for easy portability. Choose a type and design that suits your style to add convenience to your hunting trips. Many styles are easily customizable to accommodate your particular needs. Some models feature a swivel top, perfect for varmint hunting. With free shooting bench plans, you have the convenience of building your project with your choice of materials, using inexpensive materials to make it a bench that fits your budget. Use the included plans and materials list to build a bench that is ready to go whenever you are ready. 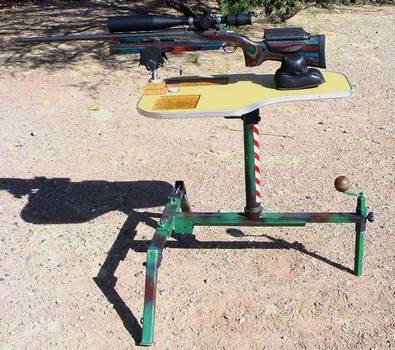 Customize your plan to make a bench that goes with your needs and shooting style. 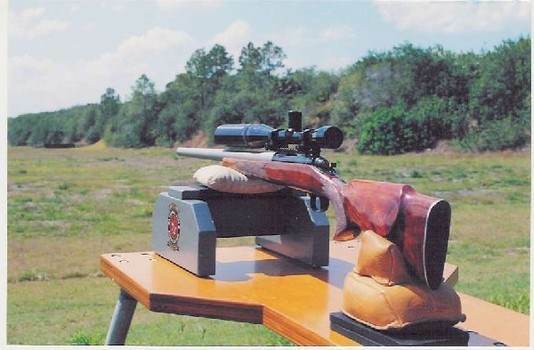 From target practice to big game hunting, there is sure to be a bench just right for you. 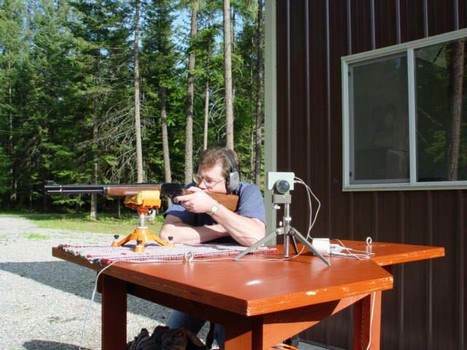 Step by step with pictures on how this shooting bench was build. Even includes a storage shelf. 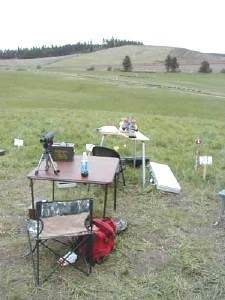 Plans for a portable swivel top, adjustable varmint shooting bench. Nice complete plans along with a materials list. Here is a table that's very easy to build and works great. Click on More Info at the bottom of this page to see the plans.